Today Fiat Chrysler Automobiles announced an end to its six-year partnership with Wieden + Kennedy. FCA, which owns brands including Chrysler, Dodge, Jeep and Maserati, said in a statement that now seemed like the right time for the two companies to split amicably. Over the years, the duo teamed up to create a range of work that was not only powerful, but also humorous thanks to a partnership with Anchorman 2 and a handful of ads featuring the movie's star, Will Ferrell. The two also reached some big milestones together including a few well-received Super Bowl ads and an Emmy Award for Outstanding Commercial for the Chrysler "Born of Fire" ad. To advertise the Dodge Dart in 2014, the automaker created the "Don't Touch My Dart" campaign. The humorous spots star the perfect comedy duo, Craig Robinson and Jake Johnson. Robinson plays an overprotective Dart owner and Johnson plays the envious best friend who really wants to touch the new car, but is not allowed to. Hilarity ensues. For their last campaign together, W+K and Chrysler cleverly tapped two actors who have played presidents on TV shows, Martin Sheen and Bill Pullman, for a presidential-themed campaign touting the Chrysler 200. "Predator" has everything you could want or need from a car ad: A suspenseful narrator, a Dodge doing donuts in an abandoned parking lot and a Phil Collins song. The 2015 spot imagines the Dodge vehicles as predators, sneaking around in the night, and it's pretty captivating. Making a Dodge is easy. It only takes 100 steps, which are nicely squeezed into one 30-second spot. Well, sort of. The ad for the Dodge Dart from 2013 is quick, clever and highly amusing. Another anthem of sorts, this Chrysler spot from 2015 is all about taking pride in being a Chrysler owner, calling these men and women the "kings and queens of America." The work from W+K is empowering and the shots of the car make you almost envious if you don't have a Chrysler to drive. Imagine if George Washington rolled up to fight the British in a Dodge. Pretty crazy, right? Dodge's 2010 "Freedom" ad takes that wacky idea and brings it to life saying, "There are a couple things America got right. Cars and freedom." Yes, indeed. In 2013, Dodge showed off the Dodge Charger by placing the car in a video game setting and running it as a 30-second ad. The ad was created in partnership with the Syfy show Defiance, which is set in 2046. Jumping on the Anchorman buzz, Dodge rolled out a series of hilarious spots for the Dodge Durango starring a very on-brand Ron Burgundy, played by Will Ferrell. For the campaign W+K worked with Funny or Die to come up with the perfect copy for each spot, which manage to show off some of the car's best features while also delivering some terrific one-liners. One year after making a big statement with its "Born of Fire" spot during the Super Bowl, W+K and Chrysler teamed up to create an equally compelling spot. In 2012, the brand tapped American hero Clint Eastwood to deliver a raspy, poetic speech that aimed to unite the country following some tough times faced by the auto industry. 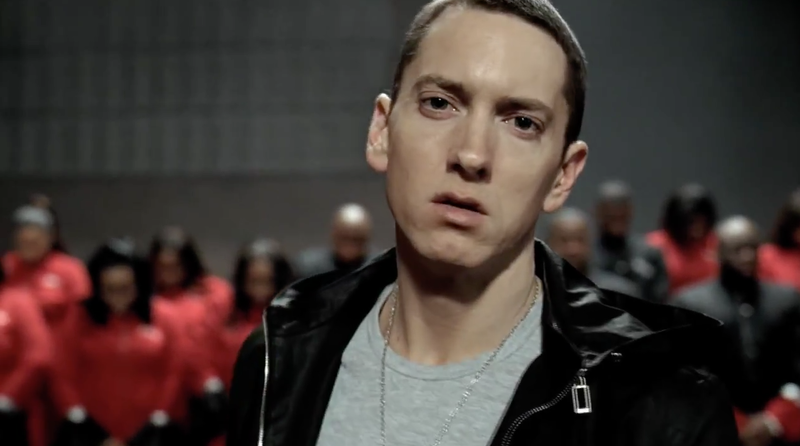 This 2011 Super Bowl spot starring Eminem, and set to the rapper's hit song "Lose Yourself," not only drew high praise after it aired during the Big Game, but also scored an Emmy Award for Outstanding Commercial that same year. The spot, which promoted the Chrysler 200, also served as a powerful anthem for the motor city, Detroit.